Erich W. Gunther is the Chairman, Chief Technology Officer, and co-founder of EnerNex® in Knoxville, Tennessee where he helps EnerNex clients define their strategic direction in basic R&D, technology, and product development. He has years of experience in the design and development of innovative solutions to a wide array of power system problems, most notably in ways to take advantage of communications networks and technology to improve the efficiency, operating practices, and security of the electric power system. Erich was appointed by the US Department of Energy in 2004 to serve on the GridWise Architecture Council (GWAC) – a focused team of experts assembled to articulate the guiding principles that constitute the architecture of a future, intelligent, transactive, energy system - and presently serves as its Chairman. 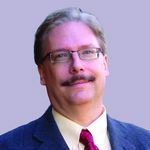 Mr. Gunther is Chairman of the board for the Utility Communications Architecture International Users group, Chairman of the IEEE PES Intelligent Grid Coordinating Committee, and is a member of the IEEE PES governing board. He and EnerNex serve as the Administrator of the Smart Grid Interoperability Panel (SGIP) under contract to NIST. He received his BSEE from Gannon University in Erie, Pennsylvania and Master of Engineering degree in Electric Power Engineering from Rensselaer Polytechnic Institute and is a registered professional engineer in the state of Tennessee.